Monaco km-number. : 134 1956 extremely fine Copper-Nickel extremely fine 1956 100 francs Rainier III. Monaco km-number. : 140 1966 extremely fine Nickel extremely fine 1966 1 franc Rainier III. Monaco km-number. : 150 1982 very fine Nickel very fine 1982 5 francs Rainier III. Monaco km-number. 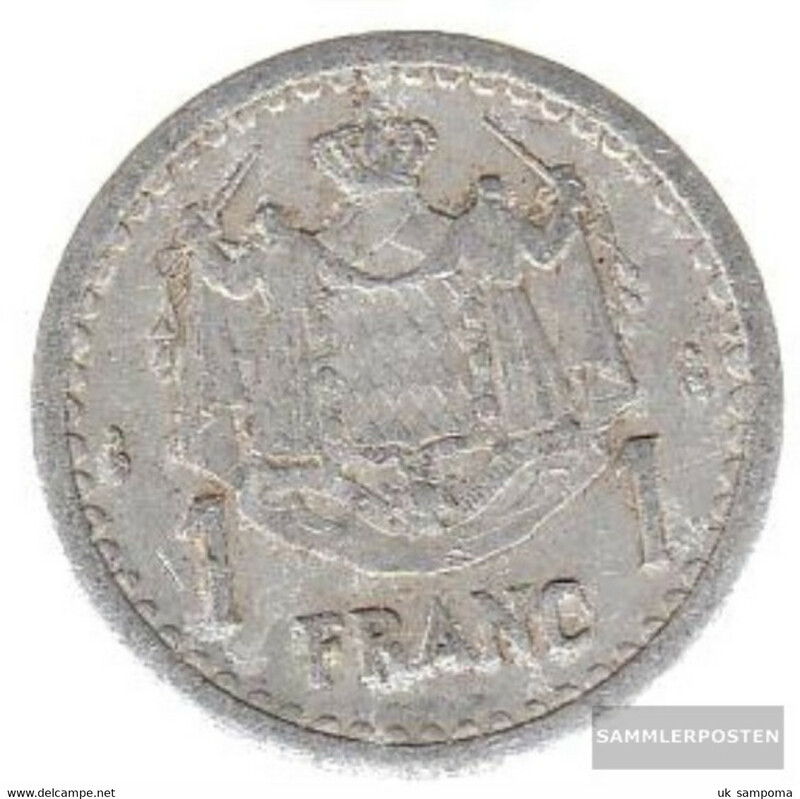 : 150 1971 extremely fine Nickel extremely fine 1971 5 francs Rainier III. Monaco km-number. : 150 1974 extremely fine Nickel extremely fine 1974 5 francs Rainier III. Monaco km-number. 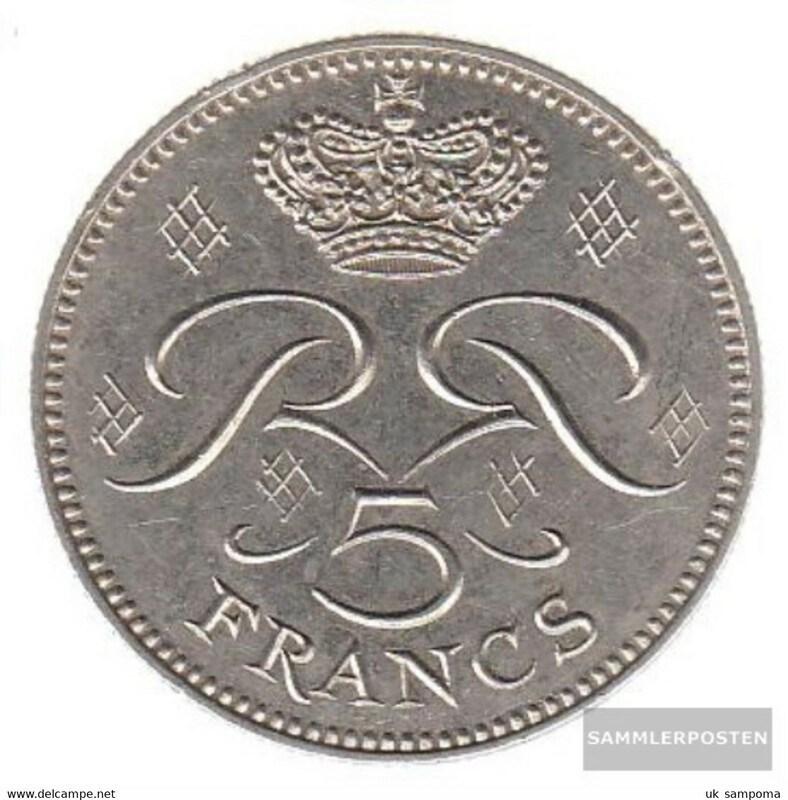 : 150 1982 extremely fine Nickel extremely fine 1982 5 francs Rainier III. Monaco km-number. 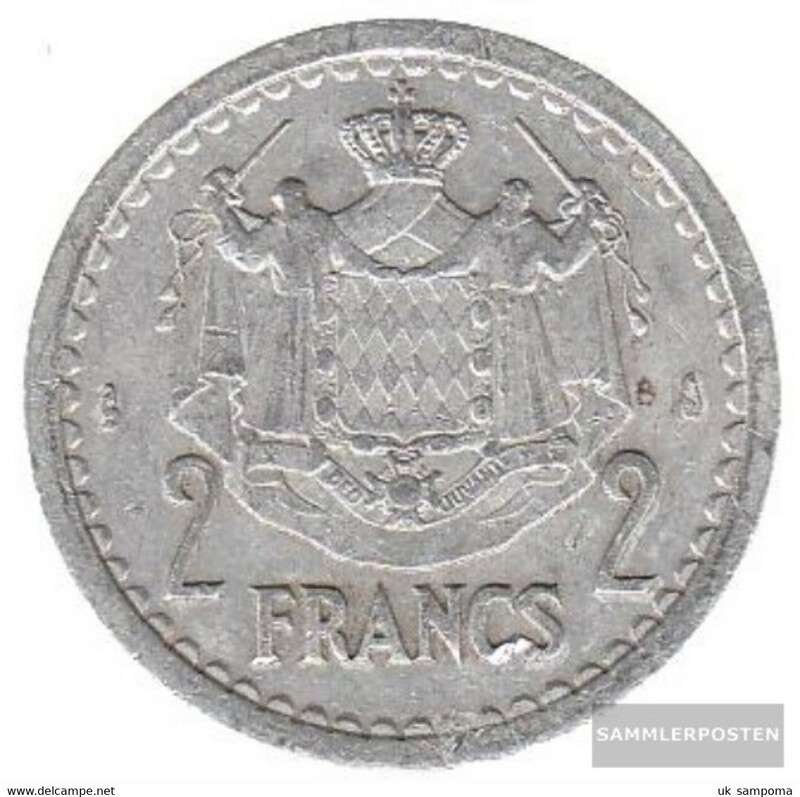 : 140 1978 extremely fine Nickel extremely fine 1978 1 franc Rainier III. Monaco km-number. 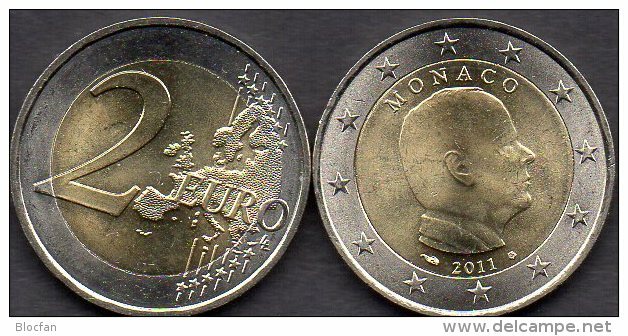 : 140 1977 extremely fine Nickel extremely fine 1977 1 franc Rainier III. Monaco km-number. : 140 1976 extremely fine Nickel extremely fine 1976 1 franc Rainier III. Monaco 140 1968 extremely fine Nickel extremely fine 1968 1 franc Rainier III. 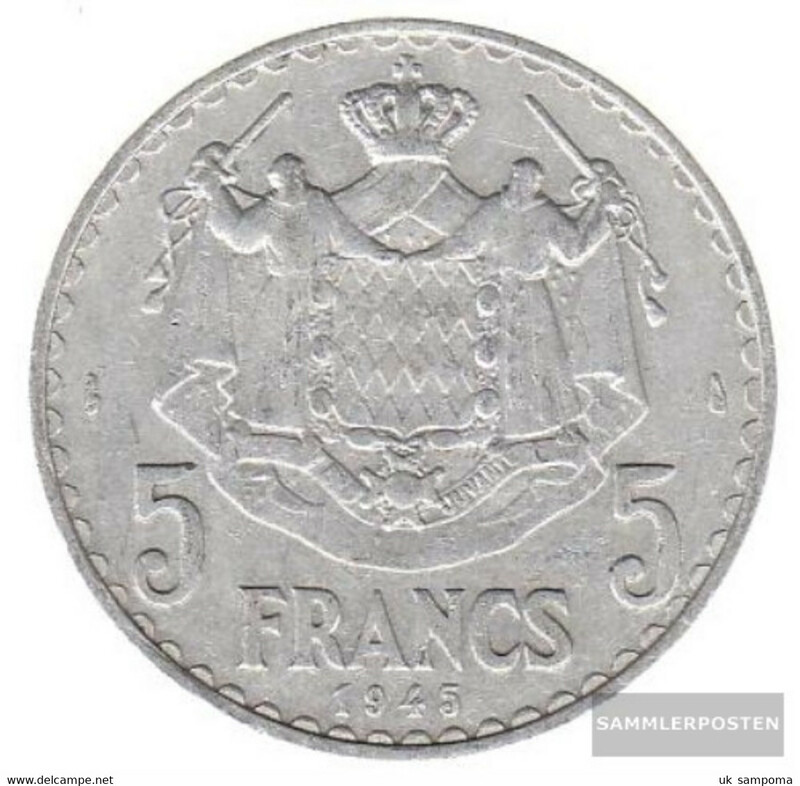 1943-5 (ND), MONACO, U/BU, 1 FRANC COIN, VERY LOW THREE YEAR MINT! 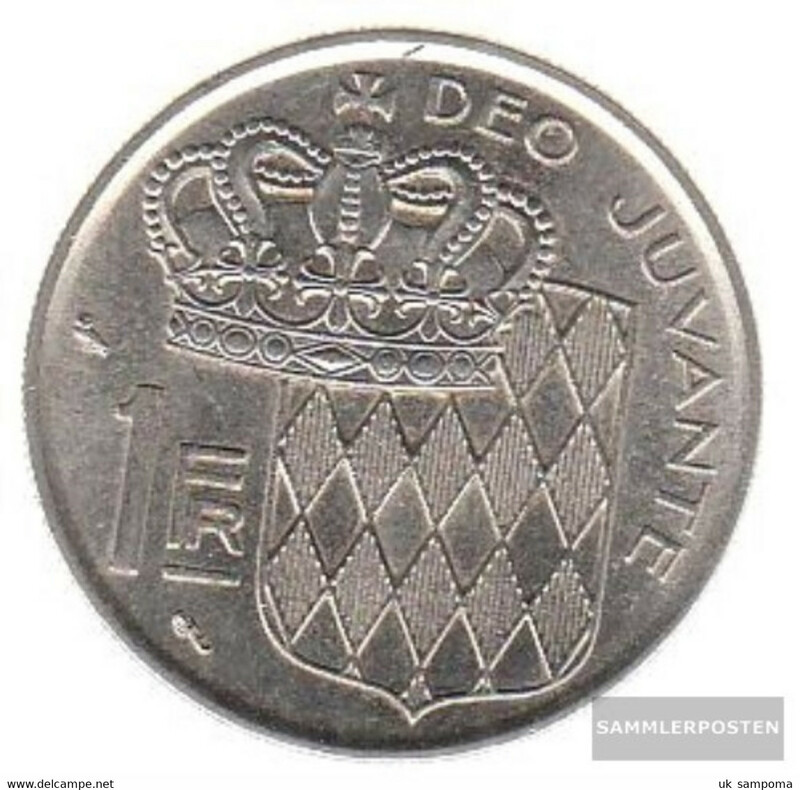 1947, MONACO, AU, 20 FRANCS COIN, VERY LOW SINGLE YEAR MINT! 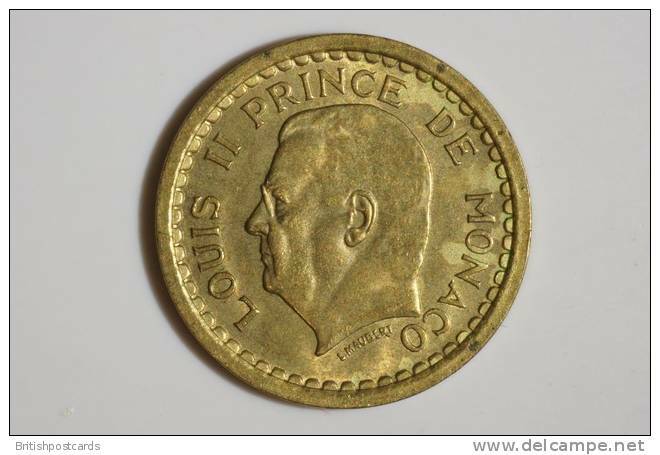 1950, MONACO, AU, 20 FRANCS COIN, 500K VERY LOW MINT!